Stay highly comfortable and highly visible with this Carhartt® Force® Class 2 High-visibility T-shirt. 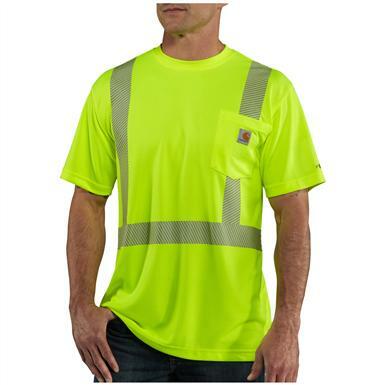 It's made of lightweight performance fabric that wicks away sweat, repels stand and defeats odors. Plus, it features a relaxed fit and side-seam construction for comfortable freedom of movement. Carhartt Force Class 2 High-visibility T-shirt is rated 5.0 out of 5 by 1. Rated 5 out of 5 by STEPHEN R from great for any construction job. Moisture-wicking fabric keeps you comfortably cool.